PM II2, p. 58 (174, I, 1-2). G.A. 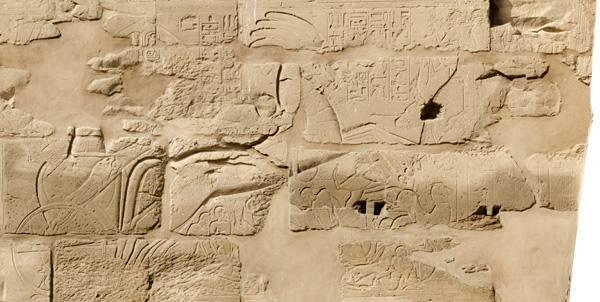 GABALLA, « Minor War Scenes of Ramesses II at Karnak », JEA 55, 1969, p. 86-87, fig 5, pl. XVII-XVIII. .
S.C. HEINZ, Die Feldzugsdarstellungen des Neuen Reiches. Eine Bildanalyse, DÖAWW 18, 2001, p. 269, VII, 15 . PM II2, p. 58 (174, II, 1). G.A. GABALLA, « Minor War Scenes of Ramesses II at Karnak », JEA 55, 1969, p. 86-87, fig. 5, pl. XIX . A.J. 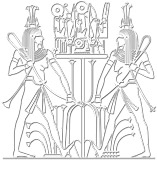 SPALINGER, « Notes on the Reliefs of the Battle of Kadesh », dans H. Goedicke, Perspectives on the Battle of Kadesh, Baltimore, 1985, p. 34, pl. II . V.A. DONOHUE, « A Gesture of Submission », OccPub 8, 1992, p. 101, fig. 9 (non consulté). S.C. HEINZ, Die Feldzugsdarstellungen des Neuen Reiches. Eine Bildanalyse, DÖAWW 18, 2001, p. 270, VII, 16 . Ce document a été téléchargé 66 fois. 4 033 091 photographies téléchargées.